After hearing from you about delays and issues in road construction, the I-Team started digging into how roads get built. 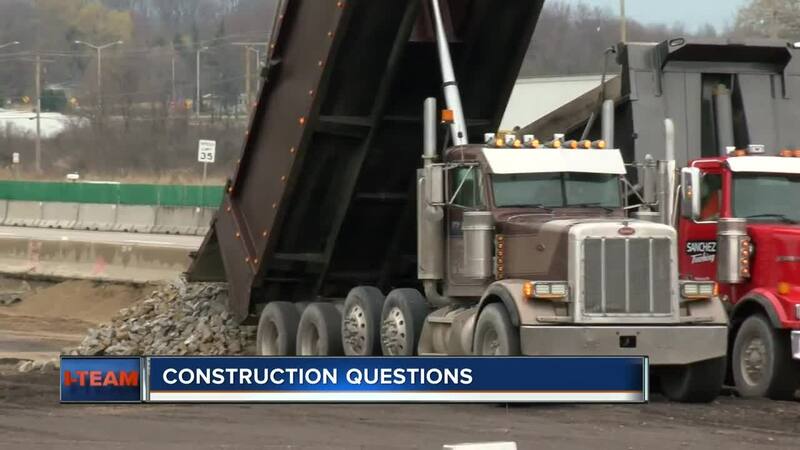 MILWAUKEE -- After hearing from you about delays and issues in road construction, the I-Team started digging into how roads get built. They learned there's a lot of money in road construction and you might not be getting the best price. When we dug through data from Wisconsin and our neighbors, it turns out Wisconsin jobs have half as much competition as neighboring states. Sixteen percent of state road construction jobs have only one person asking to do the project. In Iowa and Minnesota, the number is 8 %. Marquette University Assistant Professor Walter Melnik tells us that means their prices could be higher. "Having more firms would be better because now a firm when it's choosing it's bid below maybe five firms as opposed to two or three," he explained. We also sought out former Department of Transportation (DOT) Secretary Mark Gottlieb. He explained what that means to the department. "That's not to say that in an instance where you don't have a competitive bid that you don't pay a fair price. But certainly more competition is going to force a contractor to you know, have a sharper pencil and to bid more competitively," Gottlieb said. A competitive bid, which means a low-cost bid, would save taxpayers money. Gottlieb said the Department can decide the only option on the table isn't best and redo the bid process. But, Gottlieb said that costs taxpayers money, too. And delays the process. So, the I-Team asked him how the state can encourage competition. He said creating a long-term funding source would encourage companies to get more equipment and stay ready for big jobs. If they don't know they'll have the chance to make good money on big projects, Gottlieb explained, companies won't spend the money on expensive gear they need. But, DOT funding over the last give years has been inconsistent. In part because of decreasing federal funding. The Wisconsin Department of Transportation encourages all qualified and capable companies to compete for opportunities serving the department's mission of a safe, efficient transportation system. The department has worked to increase competition among companies seeking highway improvement contracts by enhancing communication with prospective bidders, and providing additional time for companies to formulate proposals. To increase price-competitive bidding WisDOT provides contractors the opportunity to be a confidential bidder on projects; prohibiting the possibility of contractors assuming a single-bid advantage. WisDOT planning and engineering staff continue to look closely at the bidding process, and will continue to make adjustments focused on accountability, quality and cost-effectiveness throughout the bidding process.